The U.S. government is setting more stringent standards for when it will announce that an initial screening test for mad cow disease has yielded a suspicious result, the Agriculture Department said Wednesday. The department is now requiring additional preliminary test results before the public is informed. 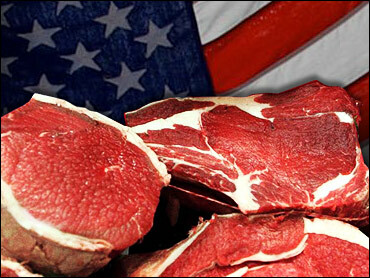 A leader of the beef industry hailed the new procedure, while a consumer advocate expressed skepticism. The change comes after two cases in which the department announced that screening tests could not rule out that animals had the fatal brain-wasting disease, only to see more exacting tests later show the cattle were free of mad cow. The new system, which took effect Wednesday, uses the screening tests as they were designed to be used — with analysis of three samples of tissue, said Jim Rogers, a spokesman for the Animal and Plant Health Inspection Service. A carcass is considered suspicious if an initial sample indicates the possible presence of the misshapen protein blamed for mad cow, also known as bovine spongiform encephalopathy, or BSE. Under the new procedure, the results of two more samples would then be examined, Rogers said. If either additional sample yielded inconclusive results, the findings would be announced publicly and definitive tests would be conducted at the department's National Veterinary Services Laboratories in Ames, Iowa. Under the screening system the department had used since June, it told the public when the initial sample yielded inconclusive results, even if the next two tests were both negative. The change "should help protect our industry by maintaining consumer confidence and reducing market volatility," the president of the National Cattlemen's Beef Association, Jan Lyons, said in a statement. "I hope this announcement does not slow down the urgency of action that USDA should follow to protect the human food supply," said Caroline Smith DeWaal, director of food safety at the Center for Science in the Public Interest. "The inconclusive could become a positive." People who eat products containing the mad cow protein are considered at higher risk of a rare fatal human form of the disease, variant Creutzfeldt-Jakob disease. The United States has had one case of mad cow, found in December in a Holstein in Washington state.